Does Your Financial Portfolio Has An Insurance Planning? 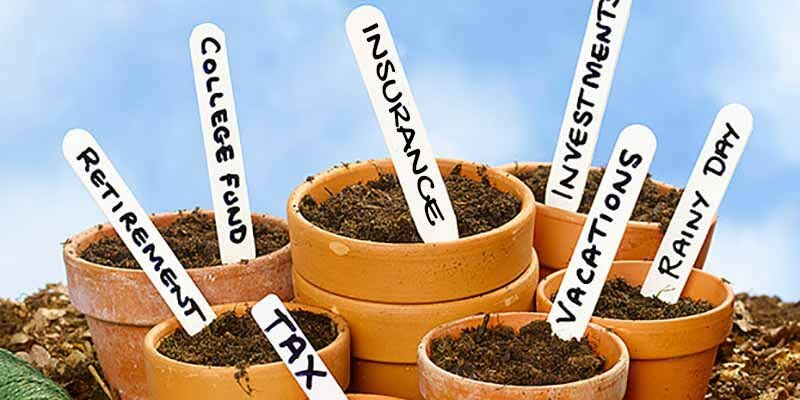 Home › Investment › Is Your Financial Portfolio Missing One Key Ingredient? Is Your Financial Portfolio Missing One Key Ingredient? Majority of Malaysians do not have adequate insurance coverage. 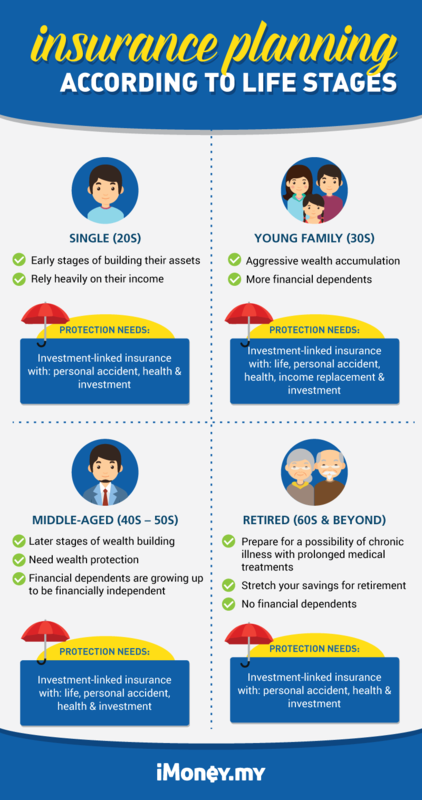 This situation exists because not many of us are aware of the importance of financial protection, as we’ve been focusing solely on wealth accumulation through savings or investment gains. What if we told you that not having adequate insurance coverage actually means you will risk missing out on your investment? According to the “Protection gap or under-insurance gap in Malaysia” study, commissioned by Life Insurance Association of Malaysia (LIAM), both insurance and takaful cover only 56% of the Malaysian population – which is pretty low compared to other developed countries. Malaysians generally do not take up adequate insurance protection simply because they lack the understanding of its advantages. Some are also under the misconception that insurance is something you get when you can afford it. However, the reality is, the earlier you get your insurance, the higher the probability of being covered while you are still healthy. While investment is an important aspect of a financial portfolio, insurance coverage should be the foundation of any financial portfolio. It should be the first step. A holistic financial plan should include protection planning by incorporating health, disability and life. The financial damage caused by the lack of insurance coverage can be devastating to a family. One way to close the protection gap in your financial plan is with an investment-linked policy (ILP). An ILP offers life protection, personal accident, medical insurance, and other riders such as critical illnesses and payor waiver. The unique feature of an ILP is that a certain portion of your premium will be invested in a specific fund of your choice, while the rest will be used to pay for the coverage. Though the investment part of an ILP is rarely trumpeted, its benefits are far-reaching in the long-term. Having certain percentage of your premium invested will give you a chance of higher cash value at maturity, it will also tide you over when finances are tough and you are unable to fulfil your premium obligation (premium holiday). Of course, different individuals or households would have different protection needs, but the fact is, they will all need protection. In case of an emergency, adequate insurance protection covers your ongoing expenses and debts and/or protects your family financially when you are no longer around. It secures your finances and investment gains from being wiped out due to an unfortunate event. A coronary angioplasty could cost at least RM25,490 in a private facility, and this cost does not involve follow-up treatment, pre- and post-check-ups, and medication that a patient will likely have to take long-term. Without adequate medical insurance, you could wipe out more than a quarter of a million ringgit from your savings (if you have any) to treat an unexpected illness like this, if not more. For a sole breadwinner, this is especially damaging because not only will you have to fork out a huge sum to treat your illness, you will still have to fulfil other financial obligations such as mortgage, car loan, school fees and insurance premium for other family members. And in the event of death, financial dependents will be left destitute with no financial buffer. So you can see how any investment gains you’ve made would be negated by just one event. In that same context though, if your insurance would have effectively given you the greatest yield of any investment. No doubt, protection is vital for your financial well-being but this protection gap remains wide among Malaysians. Although over 50% Malaysians have insurance protection, up to 90% of them were under-insured. LIAM says that the current coverage only covers up to one or two times their annual income, when it should be at least 10 times a person’s annual income. In this case, if something were to happen to the breadwinner or primary earner, this coverage sum would only last them a year or two. After which, they will have to struggle on their own financially. Adequate coverage (10 times of annual income) can at least guarantee that the family would be financially protected for 10 years. This will give them enough time to regain their financial footing and establish a new source of income. Although the policy coverage is not an income, the sum assured paid is to ensure that the family’s livelihood is protected in all circumstances. This is why protection planning is an integral part of any financial portfolio – on top of investment and savings. The main priority here is to always be adequately protected.